1) Greetings Mr. Southgate. Thanks for your time. First off tell us a little about yourself and your overall ideology. I have been involved in revolutionary politics for about twenty-eight years, first with the National Front (NF), which I joined as a young teenager, and then with the International Third Position (ITP) and two of my own organisations: English Nationalist Movement (ENM) and National Revolutionary Faction (NRF). I have always been very sympathetic towards the 'patriotic socialism' adopted by English radicals such as William Morris, Robert Blatchford and Robert Owen, as well as by the great campaigner for social justice, William Cobbett, and Distributist League activists like Hilaire Belloc and G. K. Chesterton. My father was a Left-leaning supporter of the Labour Party, so I always had an interest in Socialism from a very young age, although both of us soon realised that politicians are not to be trusted. The turning point, I suppose, was the arrival of Margaret Thatcher in 1979 who, I have no doubt, must have politicised a whole generation of anti-capitalists. If you are interested in reading about my activities within the aforementioned organisations, I would recommend my 2010 book, 'Nazis, Fascists, or Neither? Ideological Credentials of the British Far Right, 1987-1994', which is available from The Palingenesis Project. A collection of my key articles also appears in 'Tradition and Revolution', published by Arktos in two editions. 2) Who and what were your main influences in shaping your beliefs? Otto Strasser is certainly the greatest influence on my life. I first heard about him shortly after joining the old National Front (NF) in 1983/4 and then reading about his life in one of the organisation's ideological magazines. I have never been a Hitlerist, or a Fascist, and originally became part of the NF as a result of their radical economic policies. Once I found out about Strasser, as well as his brother, Gregor, I tracked down some of their books - published in the 1940s, by Jonathan Cape - and became fascinated with their struggle for true German Socialism in the face of the NSDAP's collaboration with Big Business interests. 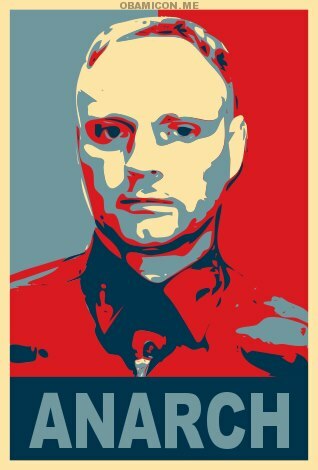 As an Anarchist, of course, I no longer support the kind of State-orchestrated policies that were being advocated by the Strasser brothers all those years ago, but it is probably fair to say that I am a post-Strasserite in that I strongly believe that, were they still alive, both Otto and Gregor would be very sympathetic towards the National-Anarchist Movement (N-AM). 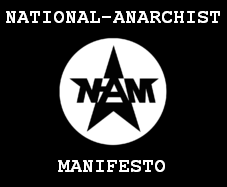 3) Could you elaborate on what National Anarchism is and the goals of this cause? 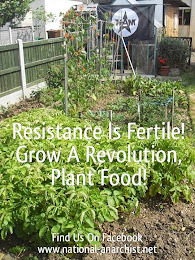 I began to embrace Anarchism during the mid- to late-1990s, once I stumbled across the work of Richard Hunt and Alternative Green magazine. Richard had produced a booklet called 'The Natural Society' and, slightly later, a full-length book entitled 'To End Poverty: The Starvation of the Periphery By the Core'. I certainly didn't agree with all of Richard's ideas, but I was introduced to some of the main principles of Green Anarchism - as well as some of the original thinkers such as Bakunin, Proudhon and Kropotkin - and Richard struck me as a very open-minded and fair individual who was prepared to speak to members of the 'Far Right' for the first time. 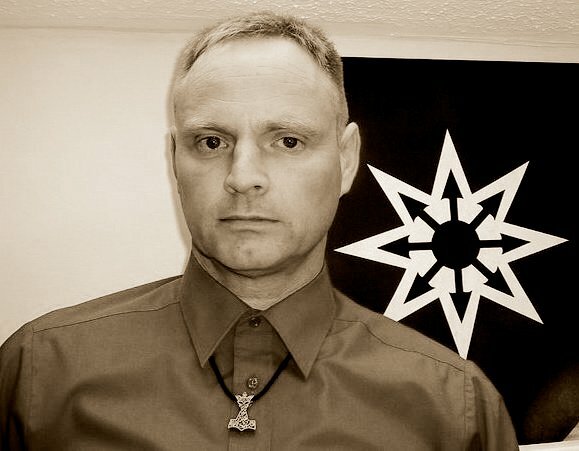 I wouldn't describe myself as Left or Right, but given that I am often wrongly described as a 'fascist' by my detractors, this was a very positive step and whilst he did not support our stance on racial separatism, Richard appreciated that we were genuine decentralists and that we shared many of the same ideals. When Richard suffered a stroke and became too ill to continue with Alternative Green, I took over as Editor for several issues and that demonstrates how much trust there was between us. 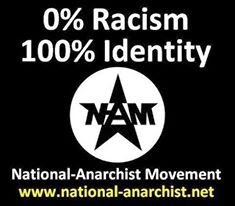 Eventually, I launched a current known as the National-Anarchists that attempted - for the first time - to combine the ideas of Anarchism and racial separatism. I think we occupy a rather unique place in world politics, not least when you consider that those on the Left dismiss us as 'Fascists' and those on the Right describe us as 'Left-wing'. 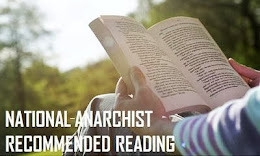 National-Anarchists are completely opposed to the kind of short-sighted dogma that one finds on both sides of the political spectrum. But we are genuine in our Anarchism, just as we have retained our belief in racial separatism. Those on the Left believe that National-Anarchism is some kind of oxymoron, but it is worth pointing out that the term 'national' originally related to tribes and ethnicity and not to the existing borders of the modern nation-states. In short, therefore, we are opposed to nationalism because it is fundamentally statist. True nations, as far as we are concerned, are comprised of people from the same ethnicity. You certainly can't say that about contemporary England, Germany, France and Italy. The globalist estblishment is constantly redefining these nations, for obvious reasons, but I would ask how they can be considered to be national entities when Europe has been subjected to mass immigration for over sixty years. The nations of the future, we believe, will be self-sufficient village-communities which combine mono-racialism with firm Anarchist principles. 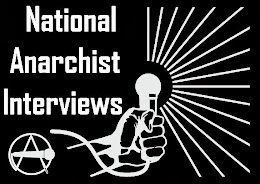 More information about National-Anarchism can be found at http://www.national-anarchist.net/ and we also have a group on Facebook. 4) You have authored several books. Where can those interested obtain these? 5) You are writing a series of volumes called "Thoughts & Perspectives". Could you tell us a little more about the purpose of these works and also other future volumes in this series? The 'Thoughts & Perspectives' series is designed to look at various personalities, many of them 'controversial', in the kind of free-spirited manner that you won't find being adopted by the liberals of the academic establishment. We have a very good team of writers, including Mariella Shearer, Kerry Bolton, Tomislav Sunic, Alexandr Dugin, Claudio Mutti, Toyama Koichi, Jonathan Bowden, Welf Herfurth, Flávio Gonçalves, Josh Bates, George J. Sieg, Keith Preston, David Bath, Vadge Moore, Christopher Pankhurst, John Howells, Michael Collins Piper, Mark Mirabello, Wulf, Dimitris Michalopoulos, Charles Krafft, Vijay Prozak, Sean Jobst and many others. We have also had contributions from Professor Roger Griffin (Oxford Brookes University) and Douglas P. (Death In June). 6) Besides the "Thoughts & Perspectives" series, what other written works do you have planned for the future? We like to keep our forthcoming titles under wraps, but there will be many more titles in the 'Thoughts & Perspectives' and 'Helios' series, as well as one or two surprises. 7) What was your involvement with the German band Von Thronstahl? You appeared on a few of their releases. Are there any plans for a future collaboration? I have never been a member of Von Thronstahl as such, but we (HERR) have performed on the same bill with them several times. I have also provided guest vocals for both Von Thronstahl and their side-project, The Days of the Trumpet Call. Josef and Raymond are great people and their 'Germanium Metallicum' album also comes out in support of National-Anarchism. 8) Israel is vehemently trying everything they can to drag the United States into yet another war in the Middle East. What do think will happen if Israel gets their wish for the war with Iran? I don't make a distinction between the governments of the United States and 'Israel', because they are one and the same entity. 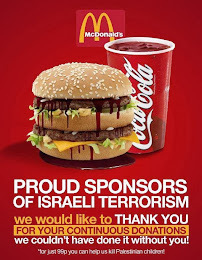 The Israelis are simply the Middle-Eastern wing of the U.S. administration - itself controlled by Zionists - and therefore America always has a convenient and ready-made excuse whenever it claims it is being pressured by its Jewish allies. If there is a war with Iran, on the other hand, I believe that it will result in another Iraq, Libya or Afghanistan. We know what these wars are really all about. 9) In your home country of Great Britain, do you see the masses of people becoming more aware of what worldwide Zionism really is? No, I don't. We are not seeking to influence the masses because they are far too caught up in the trappings of Western consumerism. 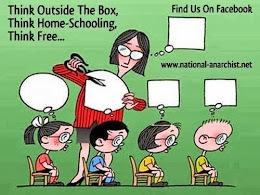 National-Anarchists take an elitist position and, rather than change society, we wish to create new communities elsewhere. When the present socio-economic catastrophe really begins to have an impact, I think we will see bloodshed, disease and suffering on a major scale and anyone who hangs around - particularly in the large cities and towns - will get swallowed up by the devastation that follows. Civilisation is on the way out. It cannot be redeemed or reformed and the situation cannot be reversed. It's far too late for that. We have to replenish the natural balance by returning to Nature and setting up alternative communities elsewhere. 10) Thanks again for your time Troy. Any final thoughts you would like to share? I'm grateful for the opportunity to be able to share my thoughts with your readers. If this interview leads to just one person avoiding the fruitlessness of the Left-Right cul-de-sac, then it will have been successful. 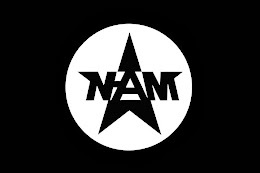 I am always happy to discuss National-Anarchism and your friends and comrades are more than welcome to contact me for more information.